Favorite Fiction: Mugen: Iron Patriot Alpha/Beta released! Mugen: Iron Patriot Alpha/Beta released! 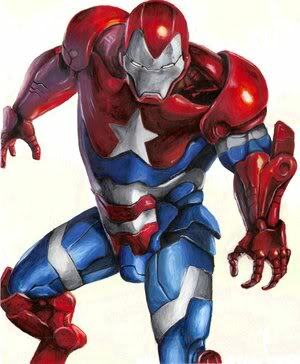 I've heard of the Iron Patriot and I know that Norman Osborn made his armor after exiling Tony Stak and appropriating some of his Technology in the aftermath after Skrull Invasion in the Comic Books. The character was created by andersontavars. I like it. If you haven't tried it out I suggest downloading it as soon as possible. 2010 CVG United Award Winners Announced!